Management Team | Arcos Technologies Inc.
Home » Management Team | Arcos Technologies Inc.
Arcos is led by a core management team that has worked with Microsoft Dynamics CRM and Microsoft Dynamics ERP since the beginning. On projects big and small, in a variety of industries we have supported clients from those who simply need to populate data and train end users to those that have extended Microsoft Dynamics solutions to support complex integration and unique applications. With over 27 years of experience in finance, administration and management consulting in international technology organizations, Kent founded Arcos in 2011 to extend his concentration on Microsoft Dynamics Solutions. Prior to forming Arcos he spent 9 years as CEO of an International award-winning Microsoft Gold Certified partner leading and expanding the company in Canada, USA, the Caribbean and Latin America. Having over 17 years’ experience with Dynamics, Kent acts as a project sponsor, championing the Dynamics Sure Step Methodology and emphasizing the customer-centric approach to all efforts across the organization. Derek brings to Arcos over 22 years of experience in software Marketing, Management and Solution Sales in large international technology organizations, most notably with Microsoft and IBM. 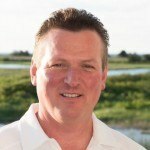 Prior to joining Arcos, Derek lead the National Industry Marketing and Channel Development effort for the Microsoft Dynamics CRM and ERP Division in Canada, helping key Channel Partners build and grow successful Microsoft Dynamics CRM and ERP business practices. Fredy brings to Arcos over 20 years of experience managing Enterprise level organization’s professional services and IT/development teams in Colombia, USA and Canada. 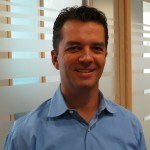 Prior to joining Arcos, Fredy spent 12 years managing the professional services and IT departments for two global award winning Microsoft Dynamics Partners. Fredy has the ability to conduct business in Spanish and English and he is a visionary capable of designing IT solutions roadmaps that bring our clients and customers to the next generation of systems required for growth and sustainability.